If you are looking for the best painting services in Columbus MT it will be a crime not to turn to Painting By All Means. 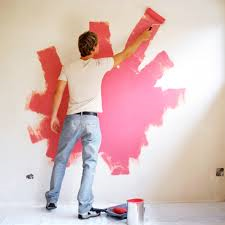 Our professional painting contractors have handled various commercial and residential painting projects throughout the 15 years during which we have serviced the local community. Our workmanship is excellent and our price quotes cannot be matched by any other local painting company. If you are tired of painting endless hours and need some help or you have an extra large project you have no time to deal with contact Painting By All Means and we will arrive in no time to view your premises and evaluate the painting job, so you know the price in advance.